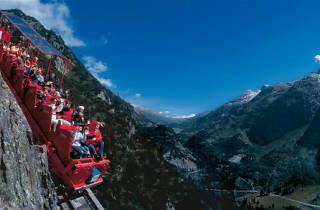 This freakishly vertical funicular in the Bernese Oberland is the steepest in Europe. 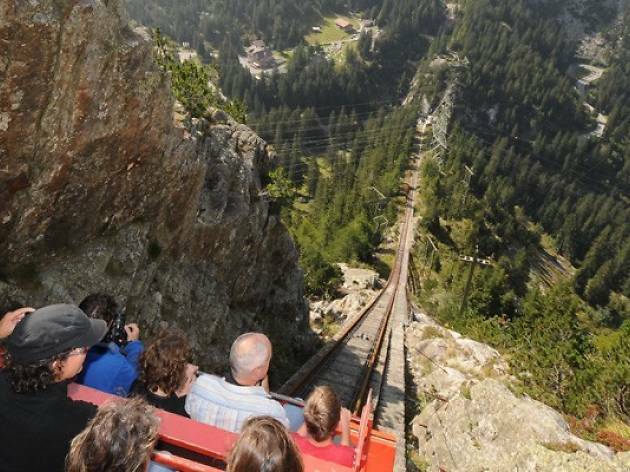 Of all Switzerland’s modes of mountain transport, the Gelmer Funicular freaks us out the most. 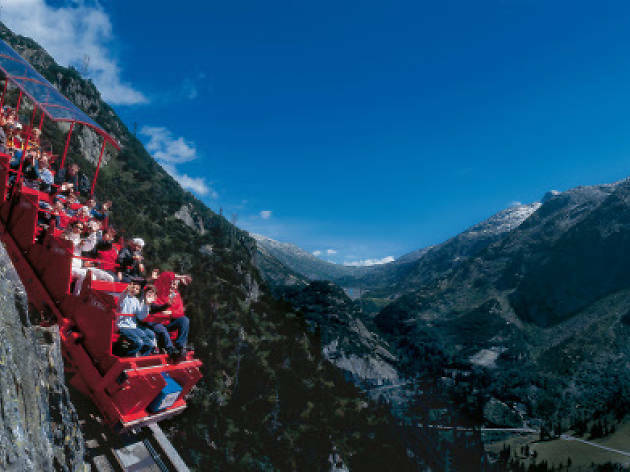 With a maximum gradient of 106 per cent – no, that’s not a typo – this rollercoaster-esque funicular is the steepest in Europe. It was built in the 1920s to transport construction materials to the Gelmer dam. Nowadays, it carries brave tourists up to 1,860 metres above sea level and the stunning Gelmer Lake. 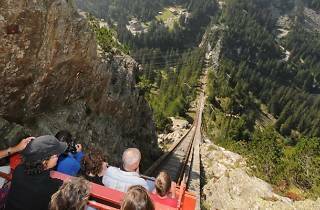 There’s just one more thing: to reach the funicular you have to cross the Handeck suspension bridge, which hangs some 70 metres above the Handeck Gorge.